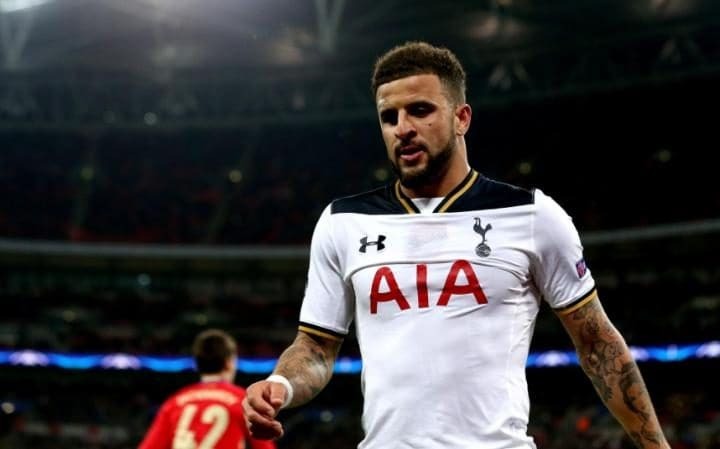 Manchester City have landed the signature of defender Kyle Walker from Tottenham Hotspur after they parted with an initial £50m offer for the Englishman. The 27-year-old joins the Citizens after eight seasons at Spurs, where he established himself as one of the Premier League’s best right-backs. Walker was listed in the PFA Team of the Year for the 2016/17 season, but he still had his differences with manager Mauricio Pochettino, who snubbed his advances for Kieran Trippier in the backend of the campaign. City were initially lining up a move for Dani Alves, who had left Juventus on a free transfer earlier last month. However, he turned down a potential reunion with Pep Guardiola in order to sign a two-year contract with Paris Saint-Germain, where he sees more possibilities of lifting the league title.Manchester City are likely to extend their summer business in the coming weeks with the club still in need of an additional right-back and left-back in their ranks. Monaco’s Benjamin Mendy is the preferred target to bolster the left side of the backline, but the deal has been put on hold with the French champions looking to amass a sizeable amount from the proposed transfer. Walker is currently facing direct competition from Trippier for the right wing-back spot with England, and the switch to Manchester will strengthen his chances of sealing a regular starting place ahead of next year’s World Cup in Russia. This entry was posted in Man City Fan's Blog. Bookmark the permalink.